Here's what the actual stamp set "Fun Starts Here" looks like. Good morning! 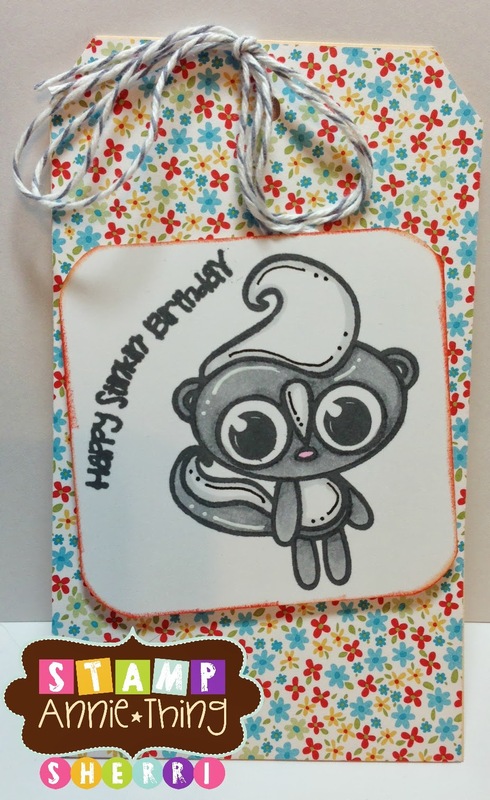 Ruza here to share my first card created using the awesome One Cool Cat stamp set. 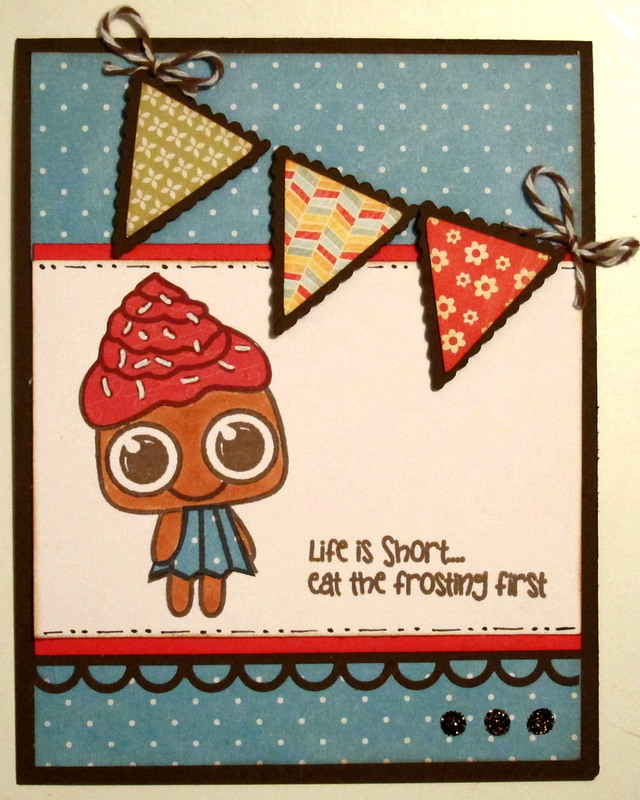 The background was created with the ball of yarn that comes in the One Cool Cat stamp set. Happy Monday and Happy Memorial Day! It's Barb with BugBites with my Monday project for you. I have to say I am having so much fun playing with the Stamp Annie Thing stamps. Each Monday can't come soon enough for me to share my next project with you. This week I used the Our Lil' Cupcake set. It's a small stamp set, but packs a punch with so many options of images and sentiments. Just click on the link below to see all the stamps available. For more information on how I made this card, stop by my blog, Bugbites. This month I've been sending out a lot of gifts so I thought I would make tags to go with them and these stamps are perfect for that. Good morning & Happy Tuesday. Ruza here to share the Mini Journal I created, but first I have some awesome news to share. I submitted my Masucline Note Cards from last week to The Friday Mashup Challenge #109, and my set was the winning submission! I'm a Rock Star! 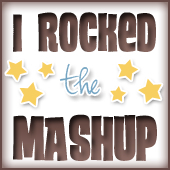 I was so honored to receive this badge from The Friday Mashup team. Now on to the Mini Journal I mentioned above. I still needed to make my project for today, and one more year-end gift for my daughter's bus driver. 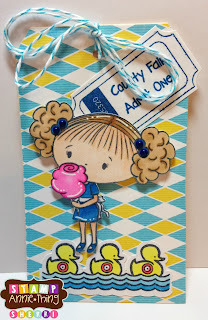 I knew that when I saw this Tutorial on how to make a Mini Journal that it would be a quick and easy gift to make. Er goes my inspiration for what to make for the bus driver. 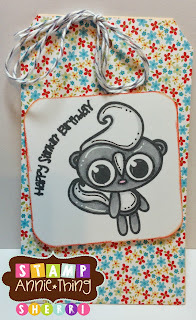 My design is similar to the one I created for the Simply Sweet Note Cards that I created in early April. The cherry is from the Our Lil' Cupcake stamp set. Now I switched up the Design a bit by creating my own DP, and by using a Velcro Tab to close my Journal vs. using twine as in the Tutorial. This was so easy to create that I think I will be making one for myself to put in my purse. It will be perfect for jotting down notes during vacation next month. Products used: Papetry Ink Cardstock, Ruler, Pencil, Memento Tuxedo Black Ink, R27 Copic Markers, Green Clear Star Gelly Roll Pen, The Craft Collection Tombow Fastener Tabs. Hey Everyone, it's Barb with BugBites with a project that is sure to put a smile on your face. Hope you all had a great weekend. I think spring is finally here to stay. My gardens are starting to come to life as I anxiously wait to see what I may have to replace. 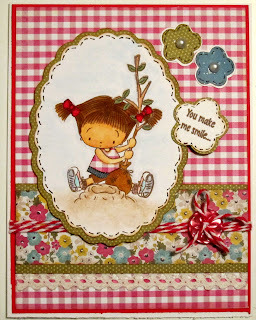 My little project today is inspired by the spring weather and the Here's the Dirt stamp set. This little girl, whom I've named Annie, is just the sweetest little thing. This adorable stamp set has so many cute images that can be used all year round. Check out this stamp set and all the others here. See ya next Monday for another Stamp Annie Thing project. Hope everyone had a great Cinco De Mayo. Here's a little card I had left over from my stash I thought I'd share with you. 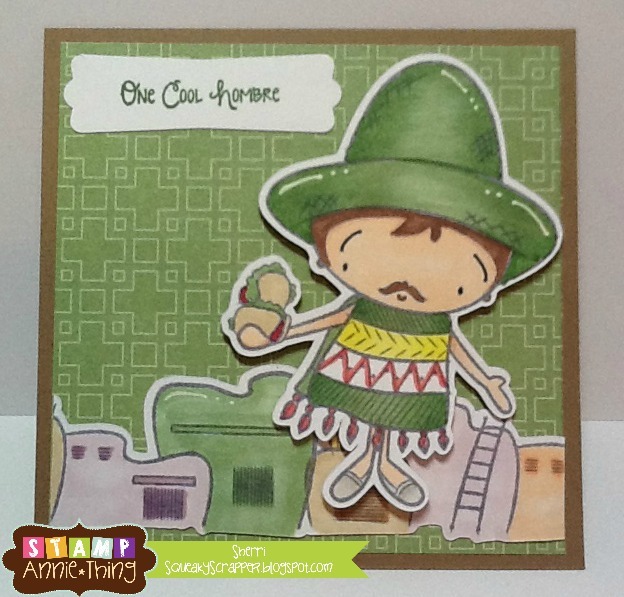 I used the "One Cool Hombre" stamp set to make this card. Here's what the actual stamp set "One Cool Hombre" looks like. 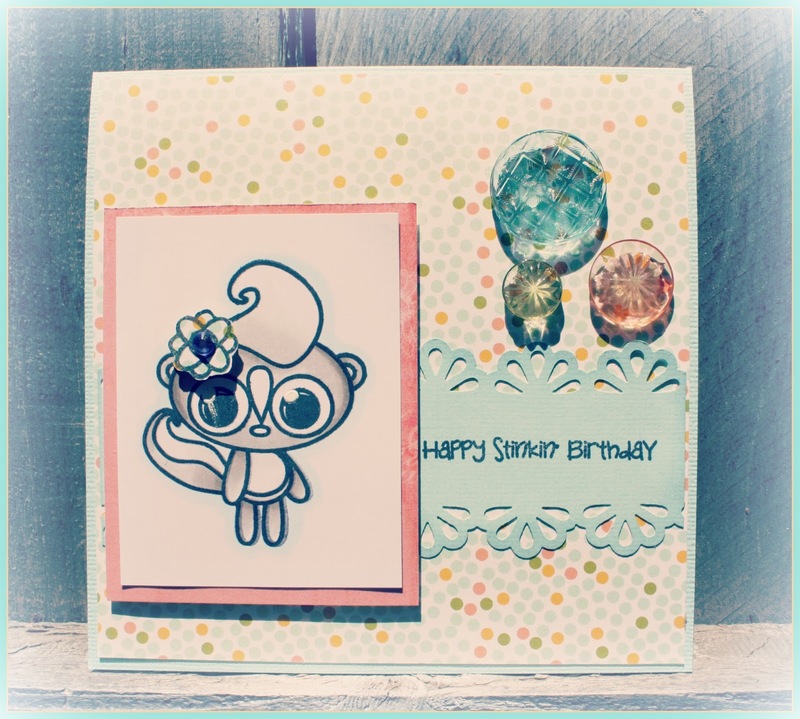 Thanks for stopping by today ~ for more information on this card you can visit The Squeaky Scrapper blog. Good morning. I hope you all had a marvelous Mother's Day weekend! Mine was amazing! I'm popping in to share a set of Masculine Note Cards featuring the images from the One Cool Hombre' stamp set. You must be like "another card set"! Yeah, I know! 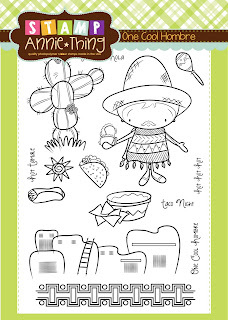 I just love the stamps from Stamp Annie*Thing, and they are perfect for making Note Card sets. This set was made for the only male member of my daughter's Educational Team. I try to be fair and make the same thing, only different, for each member of her Educational Team. To start my project I drew lines with a Black Copic 0.5 Multi-liner to section off the four areas on Bazzill cardstock. Then I used Memento Tuxedo Ink to create my background . I put post-it notes along the edges of my lines and stamped the stars, and then I stamped the border for each background. The fun village was stamped, framed, and layered on my background. My second card features the adorable cactus, which I framed, and layered it on my background. As you can see I also flipped the direction of this card. I created 3 of each card, and used the border stamp on the envelopes to finish off the set. and the final step was to put together my packaging. I used a SRM Glassine 4-3/4" x 6-3/4" Bag, stamped the border and cactus's on the bottom of the bag with StazOn Jet Black Ink, and then tied my Many Thanks tag on with the Red & Brown twine. I used an SRM Fancy Sticker Sentiment for my tag because I wanted it to really POP! 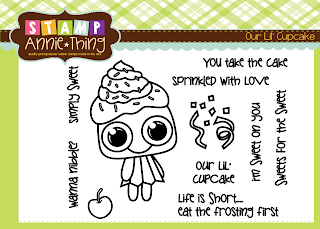 I'm loving all the options I have to create with the stamps by Stamp Annie*Thing! If this is your first time visiting, and you would like to see the other two Note Card sets that I've made ... 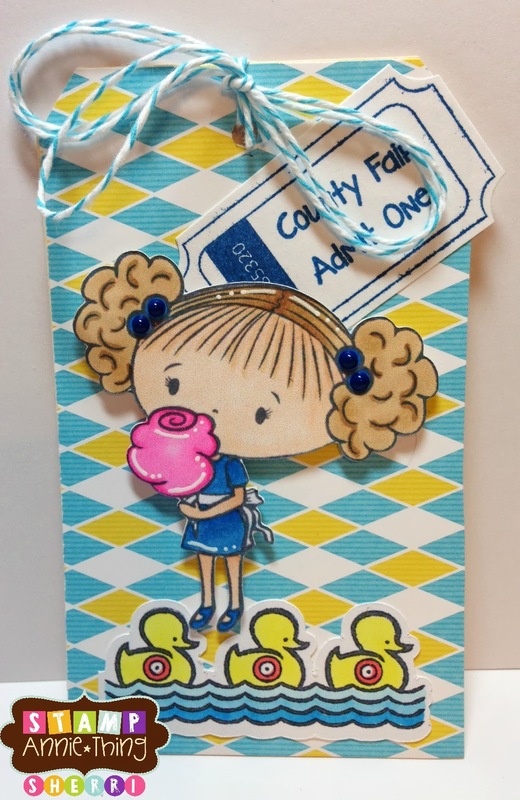 Simply Sweet Note Cards and Springtime Note Cards ... just hover over the Card Set, click on the link, and it will take you to the other sets. 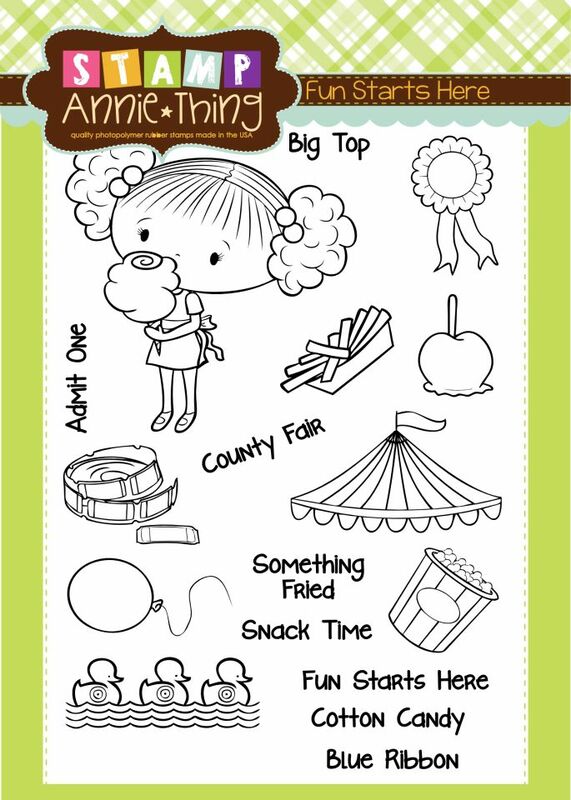 Hop on over to Stamp Annie*Thing Store to check out all of the amazing stamps available in the store! New Design Team Member- One Cool Hombre! Ok, I may not be a cool Hombre, but I am very excited to be the newest design team member here at Stamp Annie Thing! Thanks Ann for inviting me to be a part of all this fun! 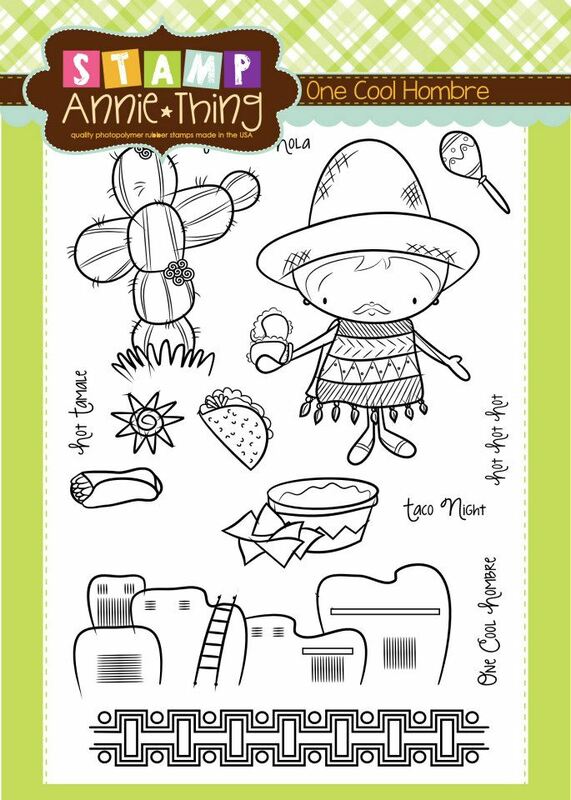 For my first post as a Stamp Annie Thing DT member, I decided to use the One Cool Hombre stamp set. This is a 4 X 6 stamp set which is great for Cinco De Mayo, a fiesta party invite or in my case, to use it for the many, many photos of Mexico vacations. 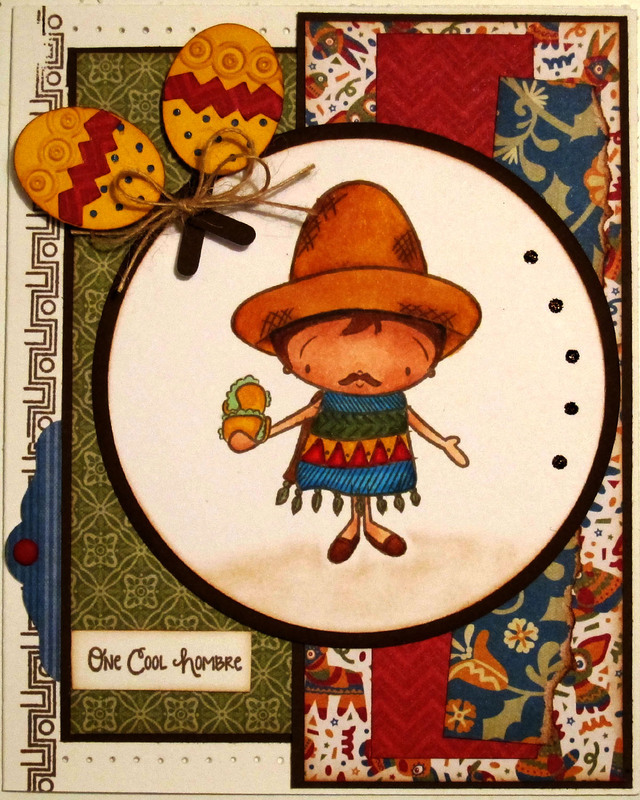 Now those Maracas...what a great little cut file you can find here. They added that little extra to my card. 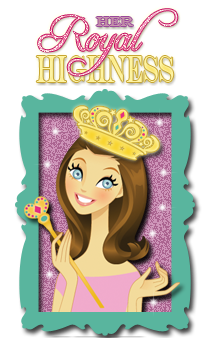 For all the details of my card, stop on over to my blog, BugBites. Fun starts here... check it out! I hope everyone is having a great week and if not hopefully this little stamp set will put some fun in your day. 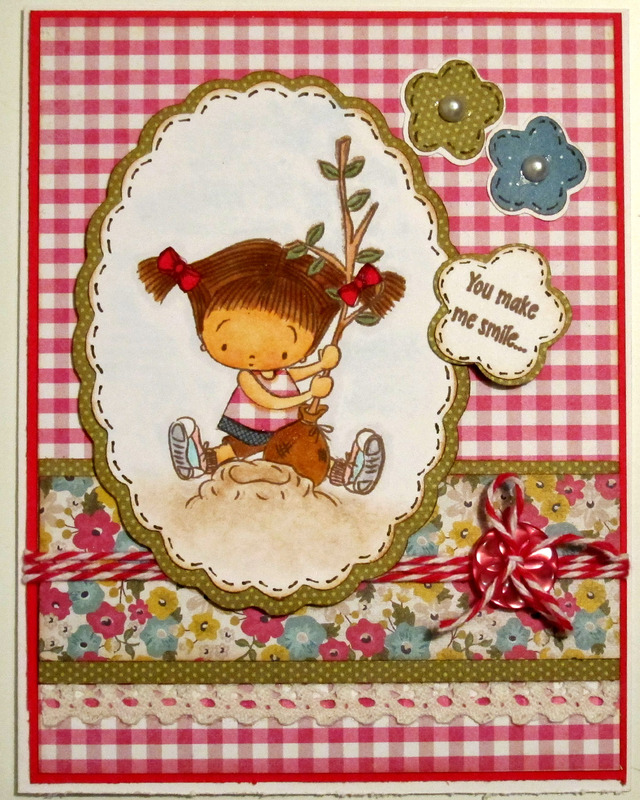 Today I used the "Fun Starts Here" stamp set to make this card. 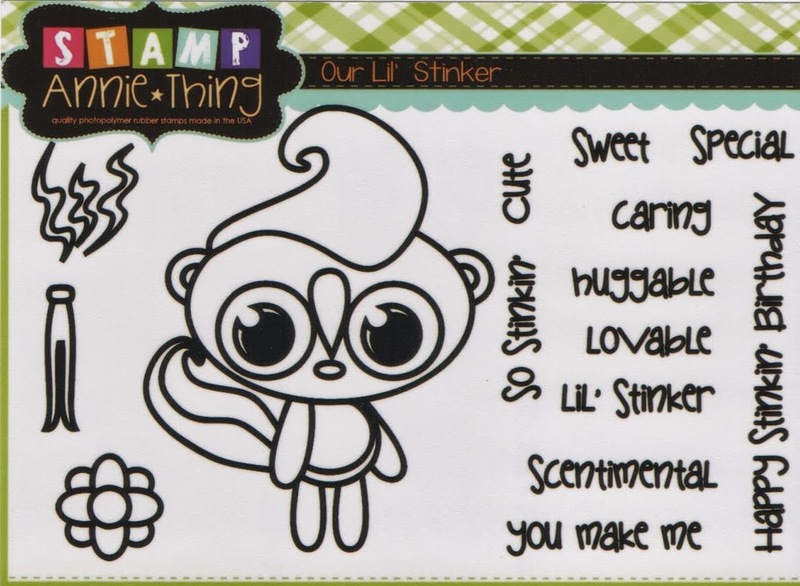 Happy Birthday ~ Our Lil Stinker! Just peel and place ~ Easy Peasy!! Good morning! Ruza here to share some FUN Snacks I put together. I used the sentiment and one of the fun images that are in the Fun Starts Here stamps set to finish off these treats. I ran the top part of an SRM Glassine Bag thru my Cuttlebug Swiss Dots Embossing Folder, added some Neon Washi Tape and Recollections Crocheted Trim to the bottom, attached an eyelet to the bag, and then tied on the tag I created with Lemondrop Twine. As you can see the Popcorn fits perfectly inside! Now for those who prefer their snack to be chocolate, like my daughter, I filled a tiny SRM Pillow Box with M&M's. The Neon Washi Tape was put on the box prior to filling, and then I added the flag. 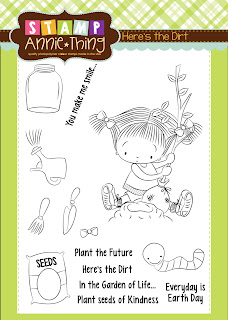 This set is perfect for creating FUN cards for kids, Invitations, or Party Favors. How about a "Under the Big Top Party"! Sounds like a lot of FUN! 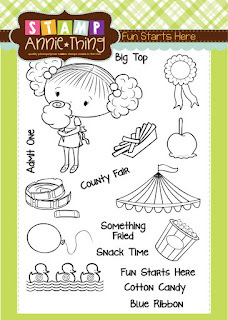 If you love this set as much as I do, and would like your very own Fun Starts Here stamp set click on the link below. Other ingredients: Scrap cardstock, Memento Tuxedo Black Ink, Copic Markers, The Twinery Lemondrop Twine, Forever in Time Neon Washi Tape, Xyron Sticker Maker.